Is your child stugging to retain what they are learning in school? Use our questionnaire to see if Cogmed could be a permanent solution and help your child develop their working memory without medication. Help your child enjoy school and learning in a whole new way! RELIEF FROM THE DAILY STRUGGLE! Change the environment by reducing the information overload – fewer instructions, less demands. Teach strategies to help children cope, such as: writing things down, asking for simple instructions & routines. Not the gym kind of work out but more of a brain work out. Strengthen the working memory capacity with practice. “An eight year-old girl was having difficulty focusing in class and during homework. She often rushed through her work and made careless mistakes as a result. She would forget instructions from her parents and teachers, and had a lot of trouble staying on task to complete her assignments. In addition, the girl had trouble controlling her emotions. It was when the girl was diagnosed with ADHD and the family had started her on medications that the girl’s mother came across Cogmed. “This young boy from Northern California had great difficulty remembering what he heard and could only follow one step instructions. As his principal said – “He consistently forgot to take his homework home and if he remembered to take his homework home, he would forget to bring it back – then, even if he remembered to bring it back, he would forget to turn it in”. The boy was disorganized and had a hard time starting and completing tasks. He was always misplacing his things and often talked in class, causing him to be disruptive throughout the day. Because of his attention problems, the boy was at least a grade level behind his peers in reading fluency and comprehension, and was selected to go through the Cogmed training program. The boy has continued to make great progress. His auditory memory has improved to the point where he can easily remember three step instructions. He has become much more organized and is able to begin and complete tasks without getting distracted or talking and being disruptive. As the boy’s principal said – “His reading fluency improved 2.3 grade levels in 5 months – this far out paces the norm. His reading comprehension improved one grade level in this same period which still out paces the norm”. 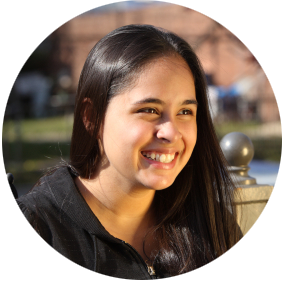 “This young woman was incapacitated by ADHD since she was a little girl and always struggled in school. She also suffered from a lying problem. She was disorganized and could never budget enough time to complete everything that she needed to get done. In the mornings, she always hoped to exercise, eat breakfast, and get ready for school with plenty of time left over – but it was common for her to run out of time having only completed one or two of the steps. She went on medication when she was a little girl and even though they helped curb some of her attention problems, they didn’t address all of her issues – namely with time management. She did the Cogmed training program and responded very well. After training, she was much better able to keep track of time and manage all of her responsibilities. In the mornings, she could follow through on all of her different steps without missing one and leaving plenty of time to get to school. In addition to the improvement in time management, the girl’s grades improved and she was lying much less than before. Complete the questionnaire below to see if Cogmed is right for your child. Has trouble with activities that require both storage (remembering) and processing (manipulating information). Struggles with solving problems that require holding the information in mind, for example mental maths calculations. Is inconsistent in remembering maths facts. Struggles with completing tasks, especially multiple step tasks – they usually cannot remember the information needed to guide them through the activity and subsequently ‘zone out’. Has difficulty remembering long instructions given in several steps, for example directions or school/work assignments – may forget part or all of the instruction. Has difficulty when planning and organising something that needs to be done in separate steps. Makes place-keeping errors – has difficulty keeping track of what they have done and what still has to be completed. 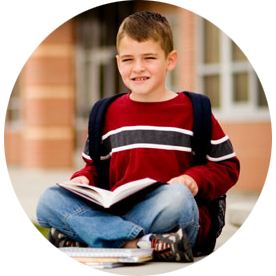 Has difficulty staying focused during cognitively demanding tasks but attends well when cognitive demands are minimal. Has trouble waiting for his/her turn, for example in a conversation or when waiting in line to get help. Have you ticked four or more of the above? 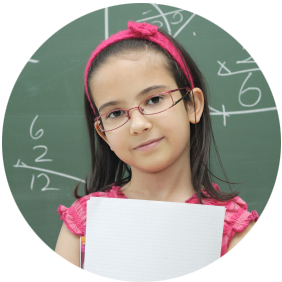 Your answers indicate that your child may have a working memory issue. The next step is to have a chat with one of our Psychologists. Your answers indicate that your child may not have a working memory issue. Please contact our office to chat about other possible solutions for your child.